Over this past year I’ve found myself using Instant IDE more and more, not even thinking about it, but really finding it indispensable. It’s one of those tools in my DEV arsenal that if I were to suddenly lose access to it I’d feel like I was seriously lacking at that point. In some ways it has several competitors that seem to do the same kind of thing, but then when you actually use it for yourself and experience its nuances you realize that’s not really the case. 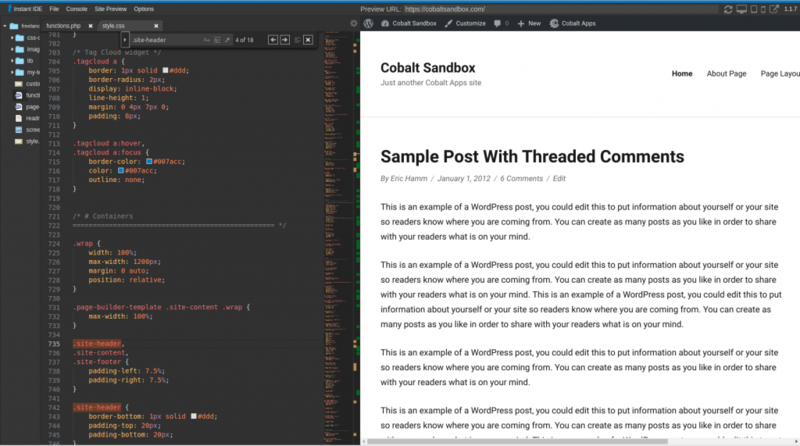 Instant IDE is not just another cloud IDE, but a kind of Instant WordPress Development Environment that is there when you need it and then can be completely gone just as quickly and effortlessly. Over the past few weeks I’ve been thinking about how much I rely on this tool for my day-to-day WordPress development (both freelance and theme/plugin) and how I’m sure I’m not the only one who works in these areas who would equally benefit. So I thought that it might be useful to share my top 10 reasons why I personally believe that Instant IDE should be in the toolbox of every Freelance WordPress Developer. I know this may seem like more of a filler reason, but it’s not. Being able to deploy a full blown IDE on your WordPress website in seconds is incredibly useful, but being able to completely wipe out any trace of that IDE ever existing just as quickly is nothing to pass over. This is especially true when working on client/customer sites where you just need momentary access to their site’s file system and then you want to clear out and go home. Instant IDE Manager makes this possible. This is critical! 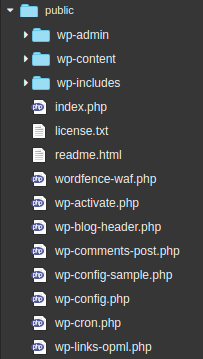 There are many WordPress DEV tools out there (mine included) that offer all kinds of customization capability, but if given the ability to tweak certain files you risk breaking your entire WordPress site, requiring FTP access to fix the problem. But Instant IDE lives OUTSIDE of the WordPress environment, meaning that you can both break and then fix your WP powered site without ever affecting Instant IDE itself. This provides great confidence and peace of mind when working on those critical client sites, or even your own commerce or blog sites, and getting thick into the depths of code tweaking and customization. OK, so I’m not here to say that it replaces your need for your favorite FTP app in every case, but I know that at least in my case I’ve come to reply WAY less on FileZilla ever since Instant IDE came along. With Instant IDE I can install the manager Plugin, deploy Instant IDE, browse the file system on the site in question, upload files if needed, make any file/folder tweaks necessary, and then uninstall/deactivate EVERYTHING related to Instant IDE, all in much less time than it takes to email my client or customer and ask for their FTP login details while troubleshooting an issue they’re having. It’s just so much more convenient and efficient. And since I have Instant IDE installed on all my sites now I find that my FTP software just collects dust in the side-dock on my laptop. 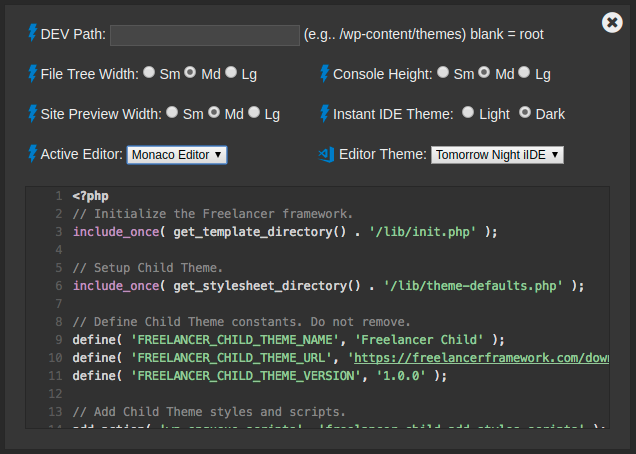 With Instant IDE you have the choice to either work with the ACE Editor (probably the most popular cloud code editor script out there), as well as the Monaco Editor which comes from Microsoft as an open source code editor that also finds itself in the Visual Studio Code editor, also from Microsoft. Both of these editors are feature rich, packing in features such as syntax highlighting, line numbering, find and replace search, several themes, and a bunch of other useful bits. So coding in the cloud is not only doable, but I’ve often found it optimal. It’s not only the convenience of working on code directly on your server, but it’s the refined and efficient environment that makes me turn to Instant IDE more and more when I just want get the job done. When developing Instant IDE I was fully aware of the fact that will great power comes great responsibility, and that with the ability to access your entire file system it was imperative to make Instant IDE as secure as possible. 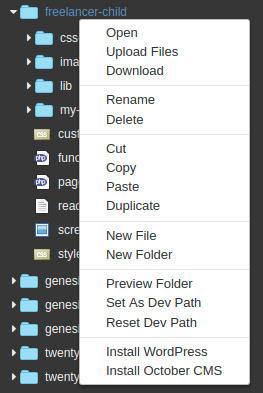 So with Instant IDE you’ll find things like a totally unique root folder name with every installation, special htaccess code to prevent indexing of directories by search engines or viewing of their contents at all. And to gain access you have to create a user account that includes a hashed/encrypted password and is useless if somehow it were to be compromised. And of course the normal cookie based security checks are in place to ensure that an outside entity can’t spoof your IP address or find a way to trick Instant IDE into letting them in. And just the fact that Instant IDE changes its randomly named root directory every time it’s uninstalled and then reinstalled makes it extremely difficult to even know where to try and attack in the first place. So just know that with Instant IDE security was definitely not an afterthought. Instant IDE isn’t just “Instant” because it’s installs in seconds with the click of a button, but it’s super fast when it comes to browsing folders, opening and editing files, and just getting the job done. It’s that simple. I find this tool especially useful when working with the files inside a Child Theme I’m working on, but I’m sure there are many other applications for it. But in either case what I’m referring to is a site preview window that loads the front-end of your website and then auto-reloads every time you save changes to a file you are editing. This means that, for example, you could be hacking away at your theme’s stylesheet and every time you save your changes you’ll see and updated version of that website upload right there, all without having to take any extra steps. Or maybe you’re tweaking your functions file and just updated some PHP code. Once you save those changes you’ll see the new code’s effect update automatically. I know at least for me, relying on a particular tool that provides little support and no clear commitment to future development, makes me uncertain at best. I like to know that those behind the tool have been around for a while and have a track record of taking care of their customers. And the great thing about Instant IDE is that I get to be that guy behind the tool and provide the same great support I’ve been offering for the past decade. So when you use Instant IDE you can confidently allow it to become your preferred solution for digging deep into the files on whatever website your currently working on.